Have you ever decided to start a diet or an exercise routine with the enthusiasm of a late night infomercial host only to have your motivation vanished in a very short period of time? Well, you are not alone. 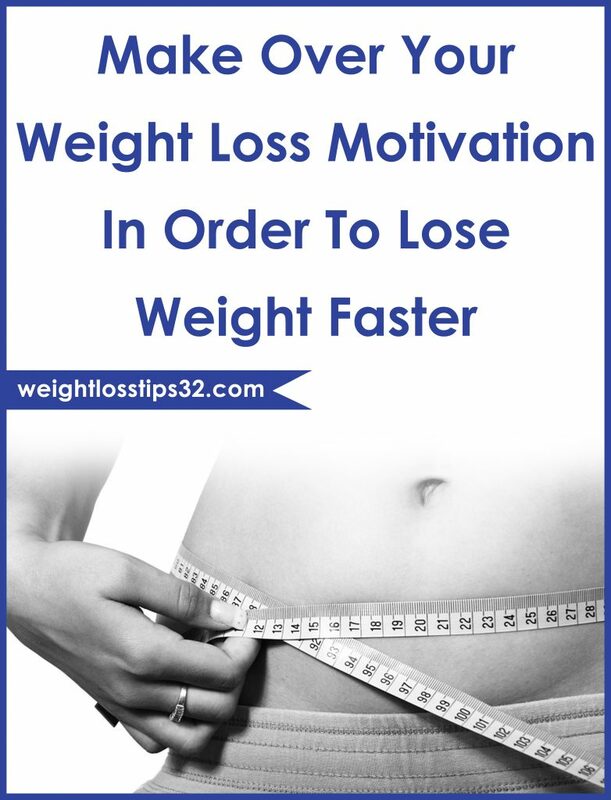 Studies show that a quarter of weight loss plans fall by the wayside within two or three weeks top. On the other hand, stick it out for a whole month and your chances of success skyrocket. “Doing something for 30 days ingrains and strengthens the brain’s neural pathways, so you are most likely to keep that behavior going on autopilot,” says Lawrence Perlmuter, PhD and a professor of psychology. That is why our team decided to create a four week bail-proof guide to go through the first crucial month of a healthy lifestyle makeover without losing your motivation. Just like a Marine drill sergeant with a group of new recruits, you are at your motivational peak. However, trying to do too much too soon can wreck even the best laid weight loss plans. 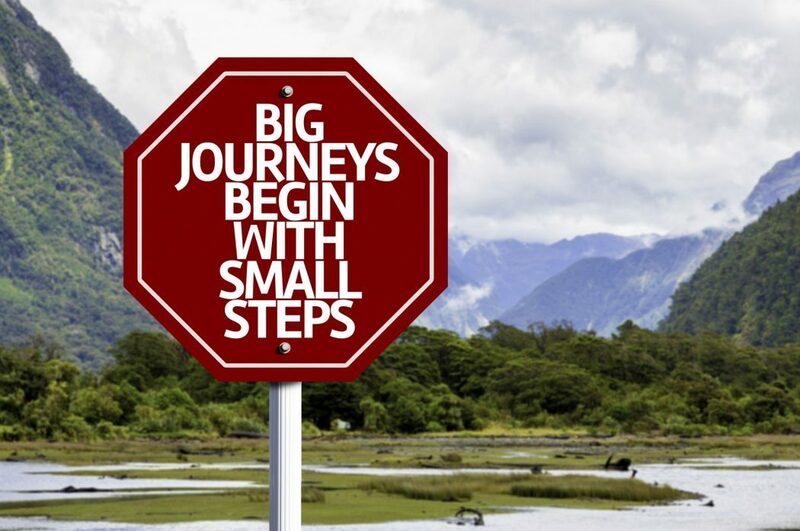 So we are going to make small, steady progress toward your goal during the first week with no drastic changes. Aim to make one tweak a day. Skip your before dinner cocktail, add a new vegetable to breakfast, take a walk after lunch, do whatever you can to nudge your weight down. And once you adapt to these new habits, it will be a lot easier to add more ambitious exercise and diet changes as the month goes on. A study published in Psychology and Health suggest that people have a limited amount of self control and that it can run dry, just like a bank account. So plan to have dinner at home instead of going to the restaurants, don’t walk by the doughnut shop on your way to work. Saying you “should” do something, like working out, immediately implies that you feel the activity is a burden. So what you need to do is to replace should with want in your vocabulary. By telling yourself that you want to exercise today, you will get into the right mind set to go to the gym. 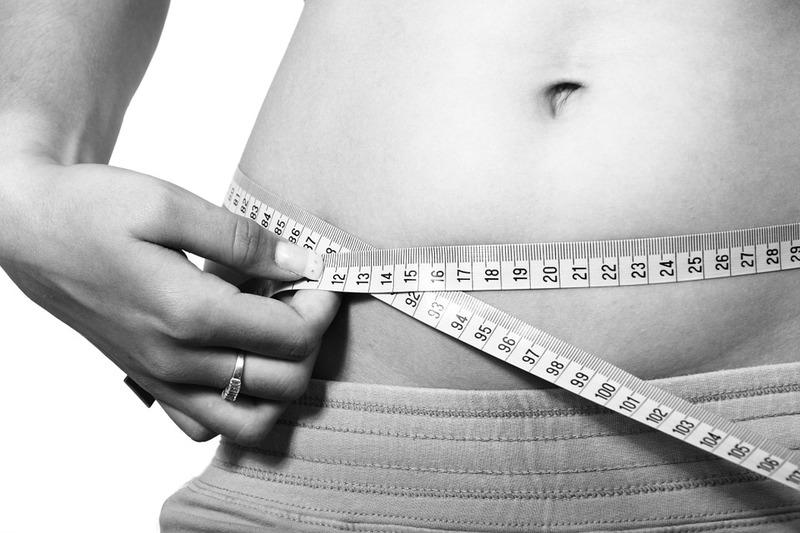 We are assuming that you’ve heard that writing down your weight loss goals makes them more likely to achieve them. If you haven’t, well, the very act strengthens them in your mind, making them more achievable. Congratulations! Seven days are down and you are still with our program. Next challenge: Squelching the urge to splurge. It is partly physical your body isn’t used to running on fewer calories and of course partly psychological. In an instant, treat becomes more desirable simply because they are off limits. 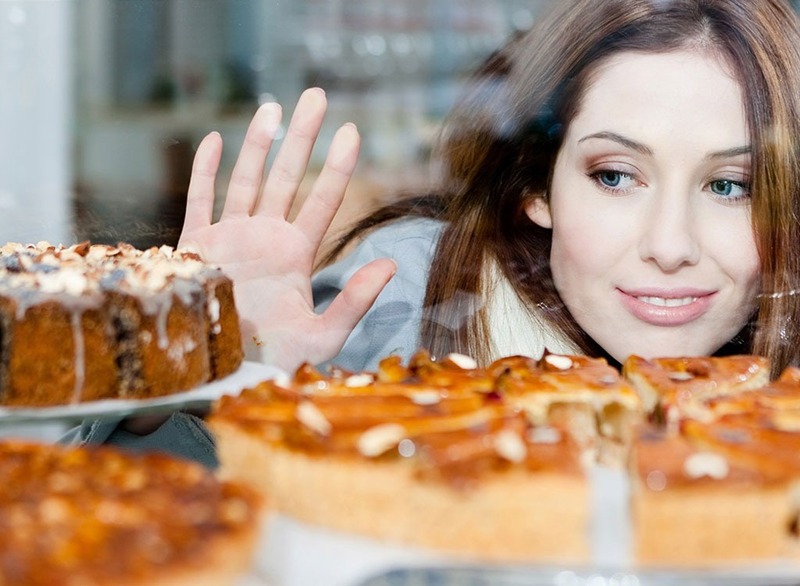 Adjust your palate by reducing sweets to only 10% of your caloric intake. So if you consume 1,600 calories a day, allow yourself a 160 calorie indulgence. Giving up too much can make you feel deprived, according to many studies. By gradually cutting back on candies, you will eventually stop craving them. Tempted to grab a candy from the vending machine? Go ahead and tweet S.O.S and write “Candy bar craving! Need ideas for healthy alternatives.” You will be bombarded with encouraging and supportive words. All you have to do is to work it out! Pinning for a peanut butter cup? Take a hike. Working out eases stress and distracts you from thinking about food. In a recent study published in the journal Appetite, a 15 minute stroll lowered cravings in chocoholics. This can simply be because working out increases your levels of the feel good chemical serotonin in the brain. According to another study, working out may release satiety hormones that keep your appetite in check for 24 hours. Search for an old photo of yourself that you love and pin it on your fridge as a reminder of your goal when the munchies hit. Keeping images of a slimmer you on top of mind might help you think like a thin person; which will make it easier to choose healthy foods over candy bars and negative thoughts vanished that could harm your diet. In Norcross’s study on dieters trying to keep New Year’s resolution, those who took their promises public succeed best. No need to wait until your next dinner party, spill the beans as soon as possible by starting your very own blog. The pressure will make sure to keep you on the right track. If you cheat on your diet or stop working out, you let down your readers as well as yourself. So, go ahead and find fit friends. If you can’t find a willing recruit, don’t worry, just ask your best friends to check in with you every few days to see how your workouts and eating are going. Making friends at the gym can help you to stay on the right track. Many PhDs suggest to race up the stairs to see if you can arrive before someone who is taking the elevator. You should keep in mind that even these mini triumphs will keep your motivation high. Set the alarm on your phone for when it’s time to head to the gym (some phones have a “remind me” feature that will send you a text message). You should clock your meals too! Have a breakfast within the first 45 minutes of getting up, and then make sure to set your alarm to go off every three hours in order to remind you to have a small meal. Consuming often helps steady your blood sugar levels, keeping energy up and appetite down. List all the changes you have made in the previous three weeks and star the ones that have been the easiest to maintain. Is avoiding booze something you can keep up forever? What about exercising every day? Modify any changes that are proving difficult such as hitting the gym four times a week, not seven! You will be less likely to cancel workout sessions, as fitness is no longer simply a means to a weight loss end. Support your new, athletic and fit person by surrounding yourself with like minded people. Starting a hiking group or joining a marathon club can be especially helpful. Borrow a page from a kids’ book and chant, “I think I can!” when your willpower reserves run low. Yes, it sounds cheesy, however it can make the difference between powering to the top of the hill on you’re a.m. run and wimping out. According to a research from Miriam Hospital in Providence, newbie exercisers who strongly believed in their ability to succeed were most likely to be working out one year later. Make sure to leave your “no one can do” attitude in the dust and hit the road to a better body for life.